Nick and Juliette’s relationship is something that has been on the Grimm backburner for a minute. 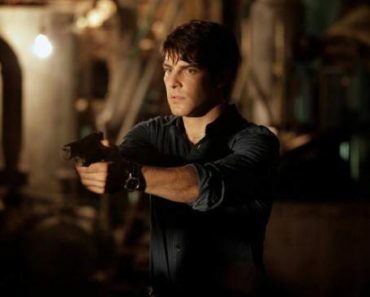 For a good portion of the show’s opening 10-12 episodes, their connection served to keep Nick grounded and bring tension to his Grimm activities. Once Aunt Marie died, Juliette became the only person in Nick’s personal life, therefore she’s the closest to him and the toughest to hide things from. It was nice to have him be loose and happy, considering the demands of his professional/other life, but there wasn’t a whole lot there between the two. Fairly lively banter and a comfort that paralleled their years together, but Juliette was merely a pleasant sidekick and didn’t bring all that much to the narrative table. 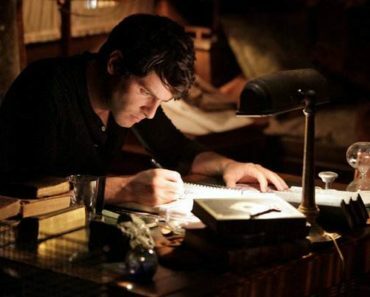 But the minute Grimm decided to clue her in on Nick’s secretive behavior, their interactions have gotten much more complex and Juliette’s importance to the plot has vastly increased. Beginning with the nervous refrigerator repairman while culminating in Juliette meeting Monroe and refusing Nick’s proposal, there’s no longer a safety net for Nick to fall into. There’s no longer that assurance that everything at home is going to be okay and that amps up the stakes on Grimm, in that it’s cornered Nick and all but forced him to tell Juliette. He doesn’t have that many allies in the first place, so any insecurity and fear that he has about letting Juliette in on his secret is going to have to vanish pretty quickly. It’s not like she doesn’t already have some idea that something is going on, y’know? On some level, hearing that her boyfriend is descended from a long line of creature hunters and that his reputation has been spreading throughout their world could be some type of relief, as it’d explain the random attacks, the stalkers, the long nights alone. Having Juliette stand up and tell Nick to cut the crap makes her a more active participant in Grimm, keeping her from becoming the typical supernatural ball-and-chain and opening the door to a more complex show going forward. 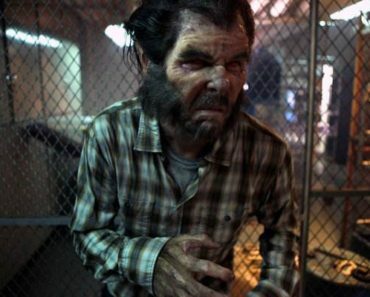 Good thing the episode where all this potential occurred was pretty solid and a definite step up from last week, as “The Thing with Feathers” managed to incorporate all of Grimm’s supporting cast in two intriguing plotlines, one of which didn’t take place in Portland. It was an episode that had more energy than “Island of Dreams”, with the Renard/Adalind team-up against Hank continuing to both frustrate me with its lack of clarity/answers and pull me in with the possibilities it suggests. 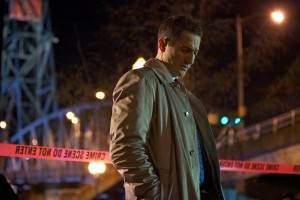 Admittedly, I don’t quite know why they’re going after Hank the way they are or why Renard has as much invested in this as he does, but any scene regarding their plot has been electric. I may not know what or why, but I know that the end result will have major implications going forward and I’m okay with waiting to find out. I mean, Renard has been so careful and calculated from the beginning of the show that there’s no way he’d do something like this if he didn’t stand to gain something from it. If someone of royalty is putting himself out there like this, it has to be for a delicious payoff; if there’s not much there, though, at least we got a super creepy scene of him sneaking into Adalind’s bathroom to fill her in on the next part of their plan. Renard is such a scary character, in part due to his cold confidence, obvious intellect, and lack of screen time, but one that I’d really like to see more of going forward. 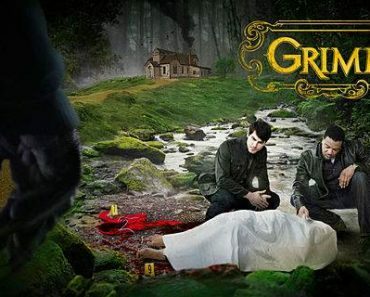 In a weird way, I was kind of okay with the slightly predictable case, only because a Grimm episode strong in other areas doesn’t need a complicated or unusual case format to be compelling. The domestic abuse case is one of procedural lore, interpreted any which way you can think of, that the supernatural elements injected couldn’t quite hide. It became obvious, even before Monroe expositioned everything about the growth/gold, that the sheriff knew Tim had been abusing Robin and didn’t care; it was also pretty clear that Gary would get got by Tim and that Robin’s escape attempt would wind up in a stand-off between Nick and the two men. But I didn’t mind it. 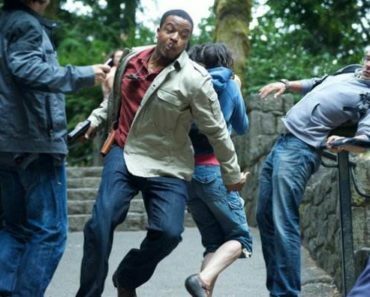 It was executed well and made for a fairly exciting, well-paced episode of Grimm, one that allowed everything to just breathe for once. There wasn’t the (sometimes) tedious police work that they have to work through in order to solve the case or any gathering of evidence; it was a show-don’t-tell type of episode that cut through a lot of bureaucratic red tape in order to get to the point. There are times where it feels like we don’t spend a whole lot of time with the actual case, so letting Nick just be thrown into the action on a would-be romantic vacation was a nice change of pace. And more importantly, Grimm found a way to do something like this while incorporating the rest of the cast (Hank/Adalind/Renard, Monroe and Rosalee at the shop, Wu with a few lines) in a way that didn’t feel extraneous. Grimm may have been about the birds tonight, but thankfully, it didn’t lay an egg. (Har har.) 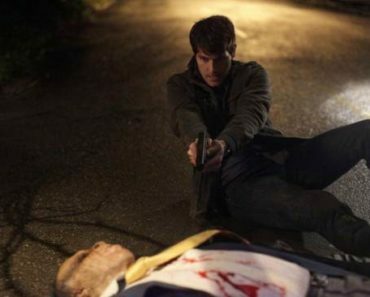 “The Thing with Feathers” felt like a strong balance between procedural and serial, Nick and his supporting cast, the human and Grimm sides of Nick Burkhardt. It’s been tough for Grimm to strike that kind of harmony between all of its elements, with only a few episodes clicking on all cylinders. 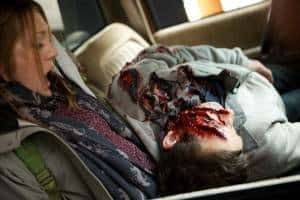 Last night may have featured a slightly rote case, but it was surrounded by a lot of good stuff and the way it was handled differentiated it from the dryer, less unique episodes earlier in the season. Grimm may have found a way to handle a solid supporting cast and two important sides of its storytelling, but it looks like Nick has to figure out just how much of his other life he’ll let Juliette in on, if any at all. -How A Clockwork Orange was that feeding tube contraption that Tim put Robin in? Also gross: the removal of the egg and the blended worms that Tim kept feeding her. -I laughed when Gary was stocking the shelf, turned around, and Tim kept getting closer. A little silly, a little creepy. 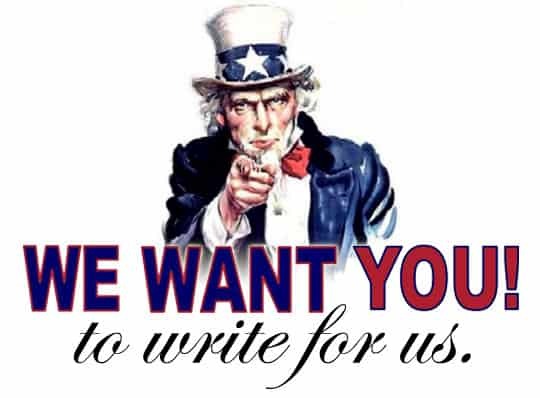 -An Oscar nominee is heading to the show in a very mysterious role. -Next week on Grimm: Nick discovers Hank’s dating Adalind, Renard gets a visit from foreign representatives of his bloodline, and Monroe teams up with Rosalee to help Nick. I really like the show but the actors are badly cast. The actors who play Monroe and Hank are great. Nick and Juliette are TERRIBLE. They are such bad actors it’s hard to watch them. The show should have done better. They are the weakest links.